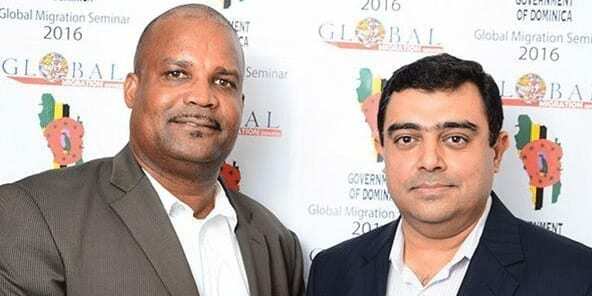 On 16 May 2016, His Excellency Emmanuel Nanthan, Head of Dominica’s Citizenship by Investment Unit (CBIU) and Ambassador at Large for the Commonwealth of Dominica, attended one of the Middle East’s largest immigration seminars as the Guest of Honour. The key topic of discussion was Dominica’s celebrated Citizenship by Investment (CBI) Programme, which was first launched in 1993. Unlike other nations, said H.E. Nanthan, Dominica does not discriminate on the basis of national origin, and citizenship by investment applications are accepted from all corners of the globe. Dominica has one of today’s most stringent due diligence processes, allowing the nation to assess applicants on their individual merits, rather than on their citizenship of birth. Applicant vetting under the Programme is first made by Dominica’s Authorised Agents, then by international and independent due diligence firms, and finally by the Government itself. H.E. Nanthan also stressed that Dominica may increase its CBI fees in August 2016, and that applicants wishing to avoid additional fees should hasten the submission of their applications. Among the seminar attendees, many mentioned they had already started the application process to ensure they did not miss the August deadline. The seminar was organised by Global Migration Services, headed by Mr Imran Farooq. Mr Nanthan also attended a High Tea event on 17 May 2016.